HIGHLIGHTS: The San Jacinto Wilderness is managed by the USFS but it is divided by the Mount San Jacinto State Park and Wilderness which is managed by the California Department of Parks and Recreation. There are 117 miles of trail here, including the Pacific Crest Trail, where elevations range from 6,000 feet to 10,000 feet in the Wilderness. San Bernardino National Forest covers nearly 660,000 acres of terrain that includes a wide variety of climates, vegetation, scenery, natural resources, and outdoor recreation. 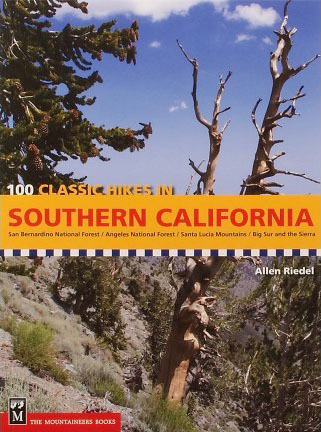 Within the forest are the highest mountains in Southern California, including 11,502-foot Mount San Gorgonio, and about 114,000 acres of the forest in the Cucamonga, San Gorgonio, Santa Rosa and San Jacinto wilderness areas. The Ox and I jumped the tram near Palm Springs to climb to 8500 feet from the desert floor and enter the alpine zones of the San Jacinto Wilderness. We spent three days hiking a loop past Willow Creek, Saddleback Junction, and Tamarack Valley and enjoyed the scenic but challenging hiking in the park and along the Pacific Crest Trail.